It all started in August. The media inquiries about Lake Placid’s Olympic heritage have increased by the day as we get closer to the games in Sochi. Many want photos, or to visit to write or film a news story, and most want to know what impact hosting the games has had on Lake Placid in general. As communications director for the region’s destination marketing organization, my job is to support our efforts to drive overnight visitation, and implement promotional messaging that is based on research. And through that research, we know that the biggest driver of overnight visitation to Lake Placid and the Adirondacks is outdoor recreation – hiking, paddling, cycling and the like – hands down. However, for a couple of months every four years, I prepare to spend a lot of time responding to the expected influx of Olympic-themed media requests. I’m not “from” Lake Placid; I grew up 45 long miles away on Lake Champlain. I was young when the 1980 Games occurred – but I do remember our hometown Torch Bearer Doc Lopez running through Westport as the group made its way to opening ceremonies. I know a lot of people who DO remember, though. 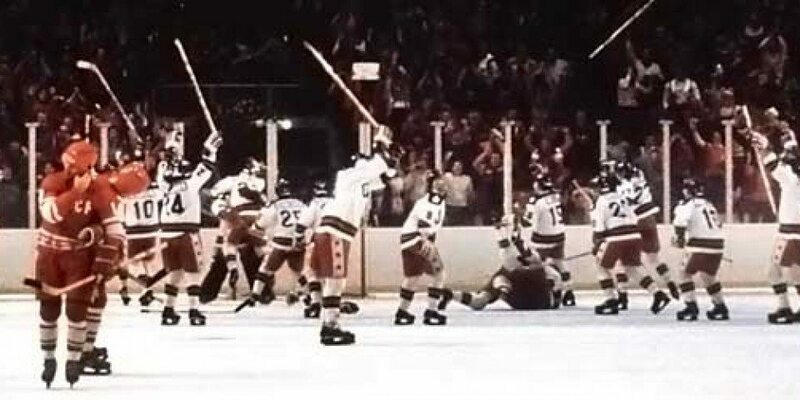 Longtime residents of Lake Placid are understandably proud of their Olympic heritage. 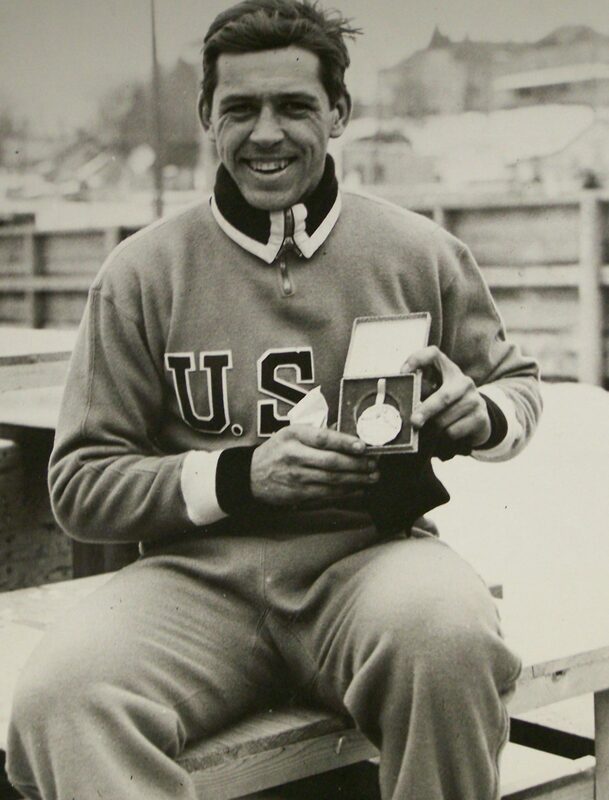 Those who participated in the ’80 events eagerly jump at the chance to dig out their Moon Boots, red hostess coats and blue volunteer uniforms for anniversary celebrations to relive the excitement of the “last of the small town Olympic Winter Games” – a couple of weeks that just happened to include the significant athletic achievements of Eric Heiden and one Miracle. 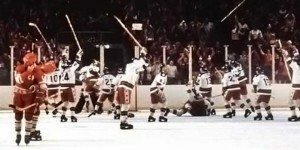 It’s terrific to hear the stories: For every person that was actually in the arena for the “Miracle on Ice” semi-final game in which the amateur US team beat Russia, there are another 100 who claim to have been there, too. I’ve heard the tales time and time again from those who actually WERE there, and I still get chills while listening. But aside from nostalgia, what impact has hosting two Olympics really had on the community so many years later? It was the intention of the Bid Committee for the 1980 Olympic Winter Games to create long-term economic gain for the town. 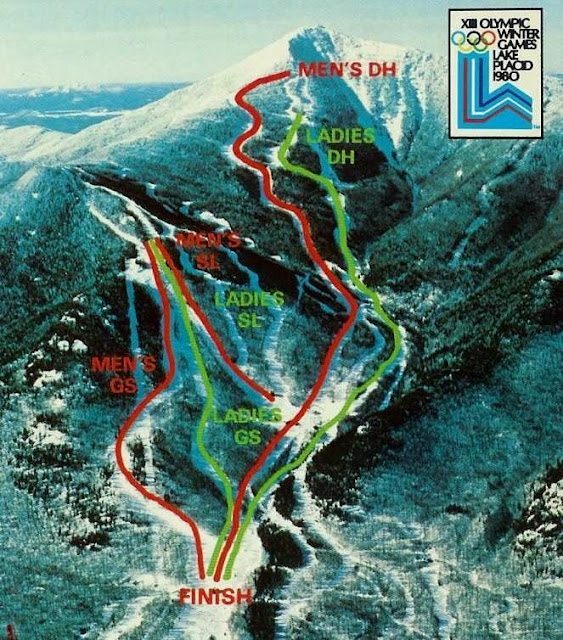 The successful 1980 Lake Placid bid committee was a stubborn group; between 1948 and 1974 they submitted 7 national and 6 international bids. 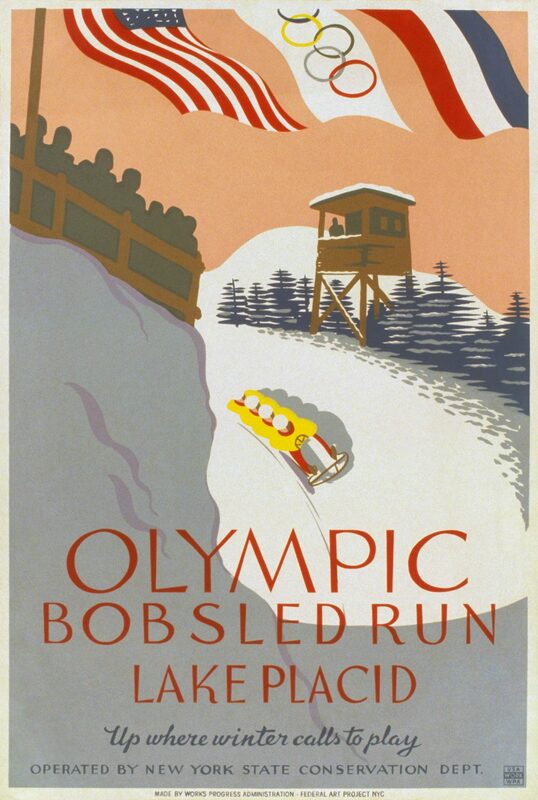 In the 1920s, the 1932 games were a mechanism for development of winter sports venues in Lake Placid. Once the bid was awarded in 1929, the town not only supported the effort, but it made a standout decision. It voted in a new tax to pay the town’s portion of the ’32 games. This unique legislation created and funded the North Elba Park District, which, along with state and federal funding, facilitated the construction of the venues for the ’32 games; all accomplished during the Great Depression. The 1980 Games brought a round of redevelopment. In addition to the updated Olympic facilities, the private sector made sizable investments for the ’80 Games. A great sense of pride in welcoming the world, and the potential return on investment compelled most lodging properties to upgrade the quality of their facilities. After the 1980 games in Lake Placid, the tourism economy has more than doubled. Since ’80, the number of lodging rooms has remained fairly consistent – but occupancy and specifically fall season leisure travel have increased steadily. This success and the quality resort experience that visitors enjoy today can be attributed largely to the investments that resulted from hosting the games. 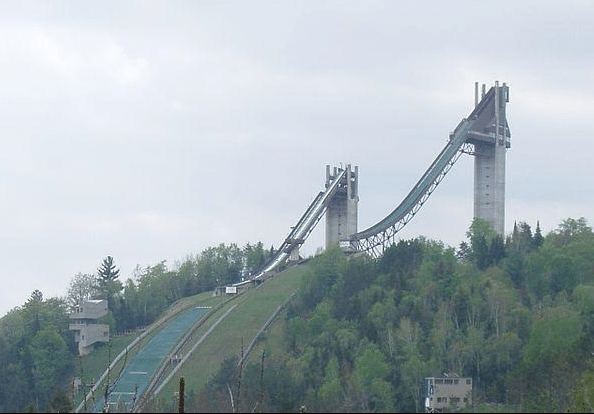 The North Elba Park District owns the Olympic Center, including the Conference Center at Lake Placid, the Olympic Ski Jumps, the land at Mount Van Hoevenberg, and half of the Olympic Speed Skating Oval (the other half is owned by the Lake Placid Central High School). One of the biggest results of the ’80 games has been New York state’s commitment to the sports venues. In 1981, the state and the town worked together to place the responsibility for maintaining, managing and promoting all of the town- and state-owned Olympic venues under one organization by creating the New York Olympic Regional Development Authority (ORDA). And to this day, NYS and the town continue to provide financial support for the ORDA as an umbrella organization to manage those facilities. In addition to the employment opportunities and ongoing use and marketing of the venues that resulted from the creation of ORDA, there have been a number of facility improvements over the last 30-plus years. Initiatives have included continued bidding on international winter sports events; construction of the USOC’s Olympic Training Center completed in 1989; construction of the new combined bobsled, luge and skeleton track in 2000; improvements at Whiteface Mountain including the addition of a high speed gondola, high speed quad and efficient snowmaking equipment; and most recently, construction of the new Conference Center at Lake Placid, a state-of-the-art meeting facility attached to the Olympic Center, which opened in the spring of 2011. We’re looking forward to the upcoming repairs to the Whiteface Veterans Memorial Highway beginning this spring, too. The large portion of the economic impact from the venues occurs outside of the busier leisure travel seasons. The Olympic Center ice sheets have allowed us to host entertainment events such as Stars on Ice and groups such as CAN Am and CHE hockey, which fill in the “shoulder” seasons in spring and late fall. The new Conference Center at Lake Placid promises to increase business during those times when leisure travel is slower, too. And as I mentioned, every four years Lake Placid gains a tremendous amount of national and international media exposure as a former host city. This is an ongoing benefit – we’ll ALWAYS have hosted two Olympics. We’ll gladly accept all of those headlines and mentions! While the region’s Olympic history might not be a primary driver for tourism, it does affect the visitor experience once they are here. More significantly, that history certainly impacts the local culture. Lake Placid (and the Adirondack region) breeds Olympians. Because of the access to these unique winter sport facilities and the area’s heritage, this part of the Adirondack region has sent athletes to every single Olympic Winter Games since resident speedskater Charles Jewtraw won the very first gold medal at the very first Olympic Winter Games in Chamonix, France, in 1924. There’s no perceived barrier to entry into the Olympics for youth who grow up here. Off the top of my head, I have one friend whose 8-year-old is training in ski jumping, and another friend whose 11-year-old son is a junior luge athlete. So the major impact of hosting two Olympic Winter Games? Of course, all of those headlines and mentions! 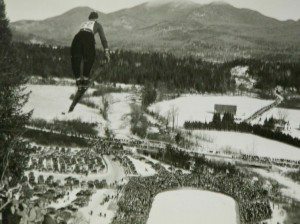 Although we welcome about 70 percent of visitors during the warm months, Lake Placid has been a winter destination since 1905, and the goal of community leaders has been to establish the destination as a world sports center and resort since the 1920’s. And overall, the Olympic Winter Games have represented a vehicle for community redevelopment in Lake Placid. The community is still tied to the Olympic movement. Just recently, Lake Placid Mayor Craig Randall and James McKenna, ROOST’s CEO (my boss), attended the World Union of Olympic Cities summit in Lausanne, Switzerland. They met with the IOC president and other host city leaders. 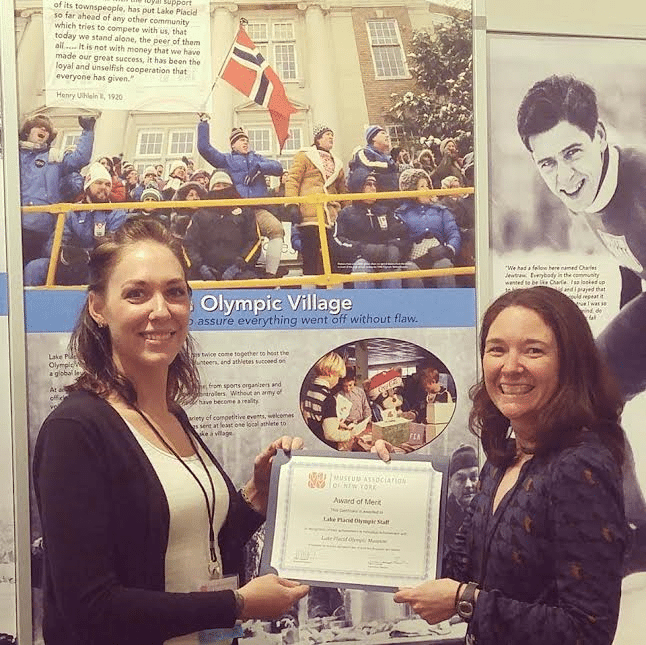 The Lausanne Summit is an opportunity to share information and resources with other Olympic host cities throughout the world, and the Lake Placid contingent has been an active participant at the World Union of Olympic Cities for 6 years. The Olympic Winter Games continue to provide us with the opportunity to further strengthen Lake Placid’s presence in the international sports marketplace, and to encourage other host cities to utilize the games in the same way as they have influenced Lake Placid. 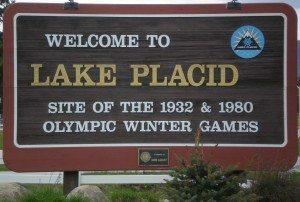 Twice in the last 81 years the games have allowed Lake Placid to promote a healthy lifestyle, and to establish itself as a world class sports center and resort. 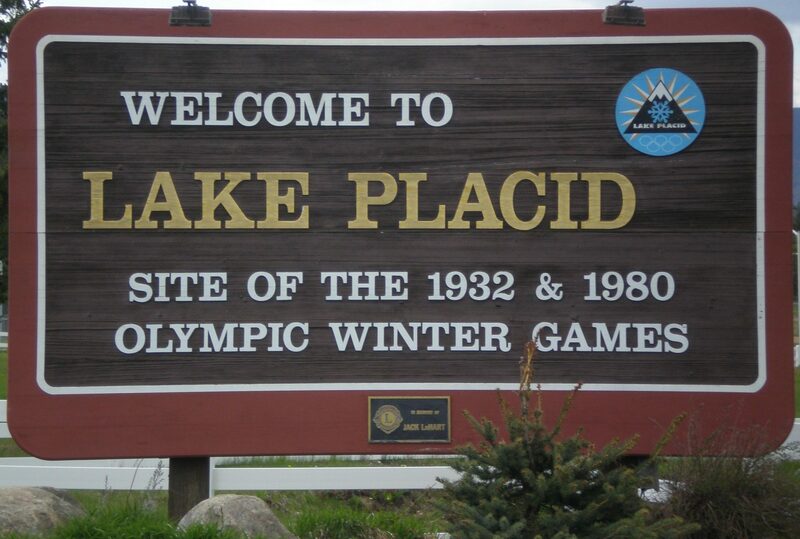 Lake Placid leaders have successfully utilized the games to influence the community’s ongoing vitality. So why not do it again? Will we host another Olympic Winter Games? The greater Lake Placid region has 2,000 traditional overnight lodging rooms – similar to the inventory it had in 1980. However, the International Olympic Committee now requires that a host city have at least 40,000 lodging rooms. Back in the late 1980s the 2000 Club (which later became the Adirondack Sports Commission) proposed joint hosting with Montreal using SUNY Plattsburgh as the Olympic Village. That idea might have legs in the future if the National Olympic Committees decide to submit bids from the US and Canada, as there is now a precedent set as Slovakia and Poland have submitted a joint bid for the 2022 Games. After all, there is a spirit of competition that is palpable here. The pristine mountains and lakes that attract visitors also seem to breed not only Olympians and Ironmen, but a breed of people with the drive, ambition and forethought to have done the impossible and brought two Olympic Winter Games here. I know that I certainly wouldn’t bet against such a future international competition in Lake Placid. Would you? BTW: Check out the celebration of Sochi in Lake Placid this year – there’s a contest, events, lighting of the flame tower and it coincides with the Empire State Winter Games – where some of our locals began their winning streaks! Photos (from above): The Lake Placid Olympic sign on Route 73; the “Miracle” moment of the 1980 Games; A 1930s promotional poster for the bobsled run constructed for the 1932 Games; the routes used on Whiteface for the 1980 Games; Lake Placid native Jack Shea with one of his 1932 Gold Medals; and the 1932 ski jumping complex from above. Kim Rielly is the director of communications for the Regional Office of Sustainable Tourism. Nice job with this article, Kimberly. May it be a beacon of hope for the Lake Placid/upstate NY/southern Quebec region! Another winter olympics is possible! May the spirit never die! I wonder what happened to those moon boots that I had. I remember wearing them in the Sarnac Lake winter carnival carrying some kind of Olympic banner one year? They were mostly yellow. What were we thinking! The problem is that other countries support winter sports much better than we do here in the US. Look at the World Cup here when they do have it in Colorado. Barely anyone shows up. The DH in Kitzbuel this weekend was mobbed with crowds and watched all over Europe. We are too into football here in the US. Almost no one knows that an American almost won that race this weekend. At least Arnold Swarzenager was there cheering him on! 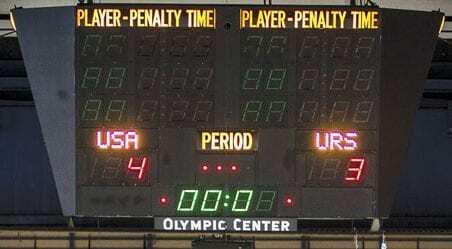 It is hard enough to get a US bid say anything about a town that has already had their chance to host the world twice. A third bid is almost impossible. Great story Kim! I remember the 80 Olympics- they closed all our schools so they could use the buses … My parents took me to the 80m ski jump and my sister and cousins volunteered at the games. Hockey has brought me to Lake Placid twice this year – CanAm puts on great events and it is so great to see all the people and experience all Lake Placid has to offer! Funny, we were just cleaning out the front hall closet the other day and found a pair of those moon boots. Thanks, Kimberly, for the nice article on the Olympics in Lake Placid. One other venue should be included: the Lake Placid Winter Olympic Museum. I was the one who suggested its founding in 1978. We set up a committee and a Board of Trustees. I was a Charter Trustee from 1977-1994. Come and visit this great collection of gold and other medals, bobsleds, skates and wonderful collection of Olympic memorabilia at ORDA’s Olympic Center.